Content marketing is about creating rich and engaging content for your consumers, from blogs to whitepapers, videos to website content. This content should add value to your existing audience and bring new visitors to your website. 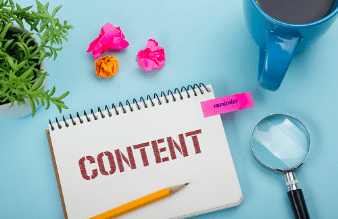 Content marketing should be at the forefront of your SEO campaigns, and can significantly increase your organic visibility, through helping your website to rank for a variety of keywords, both long tail as well as the more competitive, generic terms. Content marketing is important to every aspect of digital marketing, even PPC and social media. If you’re running a PPC campaign and you lead a customer to a landing page with poor content, it will make it very hard to convert this customer into a sale/lead. Content should be planned ahead and created around data and insight such as keyword research. Without this, you won’t know what content people are actively searching for, and therefore, what content to push out to your audience.